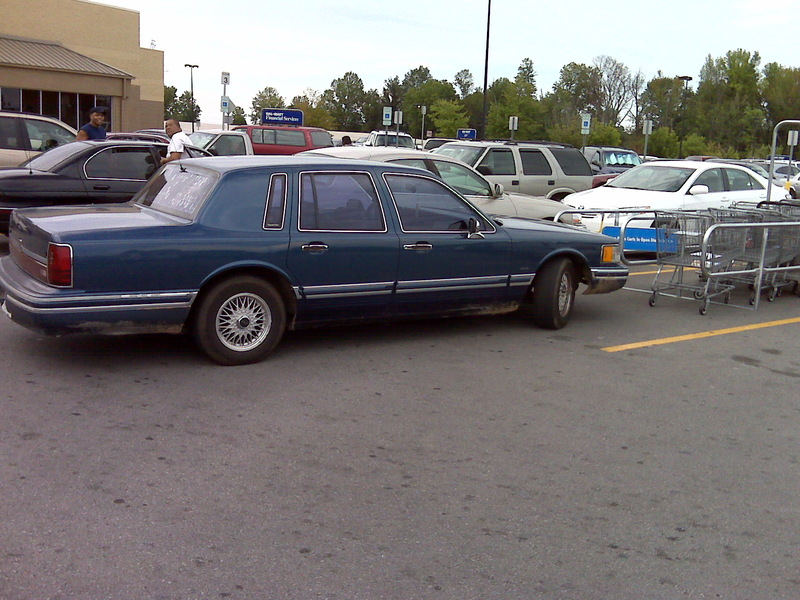 The Accountant captured the antics of some lazy WalMart shopper the other day….notice where this car is parked, directly in FRONT of the cart return! Presumably to get as close as possible to the front door. The Accountant even asked the lady if she was afraid her car would get hit and she just laughed and walked into the store. I’ll bet she’s also one of those people who leave their shopping carts in the middle of the parking lot. Lazy idiots.